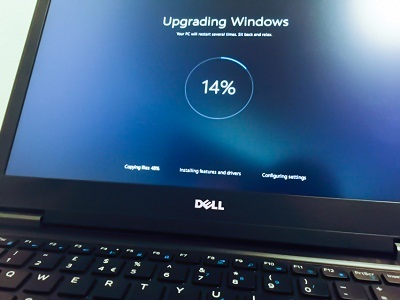 Updating Windows has always been a problem for Users with Internet Problems. 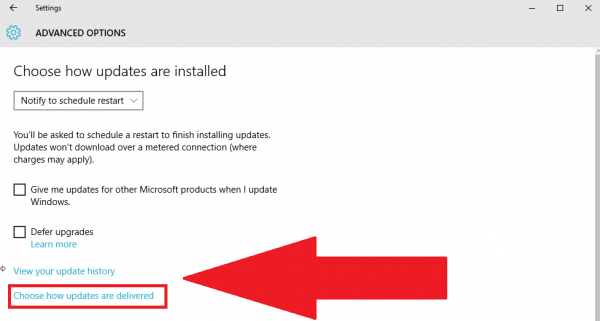 You may want a latest new feature of Windows or a hotfix for a security problem, Updating Your System takes both Time and Internet Bandwidth. However, with Windows 10 latest features, there has been a new solution for this problem. 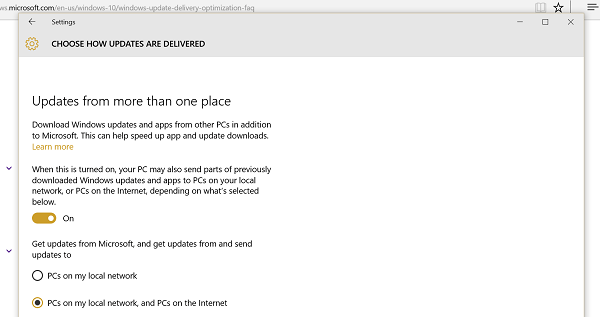 With Windows 10, You can Share your updates to other PC in local network. Yep, and it is as simple as enabling a setting. 3. Click on Advanced Options. 4. Click on “Choose how updates are delivered”. Now You can Update Your PC by linking it with your Friend’s PC who has already updated his Windows.